A wonderful home at the very heart of historic Royal Tunbridge Wells in Kent. 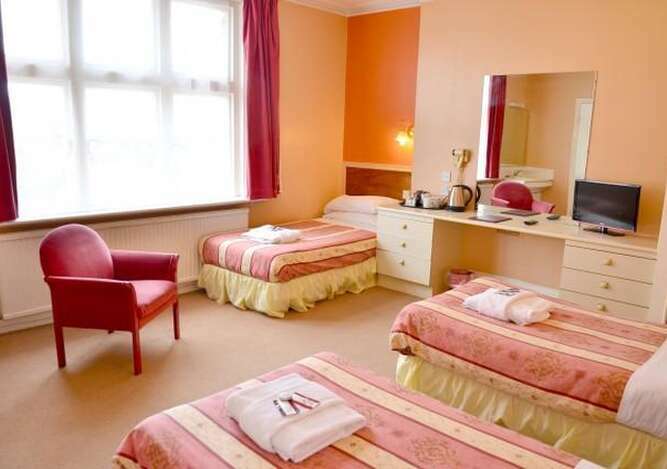 Our Hotel is directly facing the magnificent Common, only yards from the main shopping centre and surrounded by fascinating buildings dating back hundreds of years, the AA** Russell Hotel offers you the very best location in this famous town that grew around an ancient spa in the early 18th century. 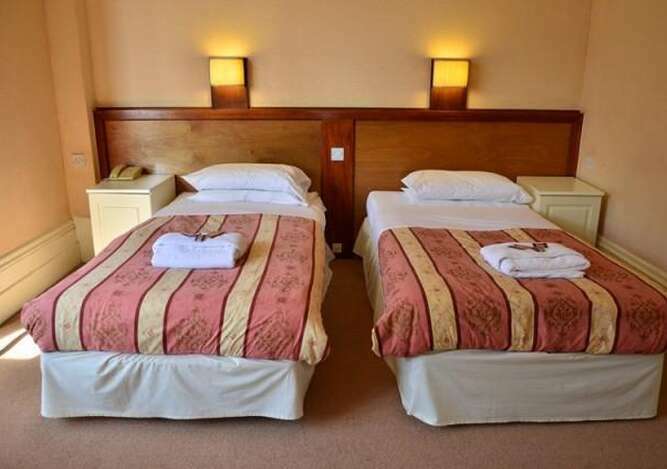 The hotel is set in a wonderful Victorian mansion with all traditional facilities, dedicated hospitality, large rooms, a free car park and free Wi-Fi access. Royal Tunbridge Wells lies at the very centre of South East England easily accessible from London and the South Coast alike. 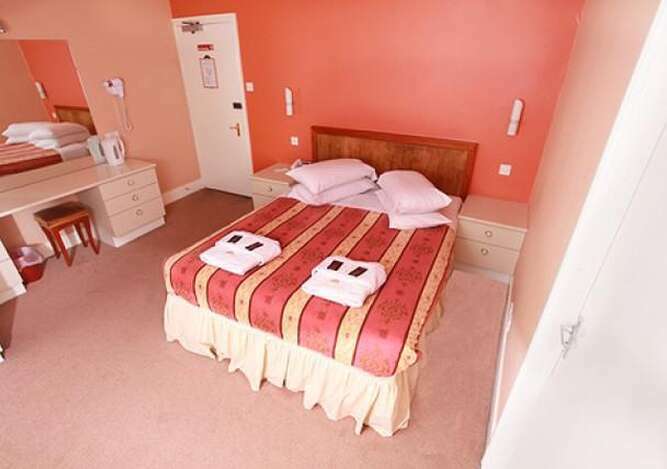 It is literally surrounded with dozens of places of interest nearby including historic castles and houses, landscaped gardens, sailing lakes, adventure parks and the wonderful countryside that is The Garden of England.Connections to the M25, Heathrow, Gatwick, Ashford International and the Channel Tunnel are all extremely convenient. 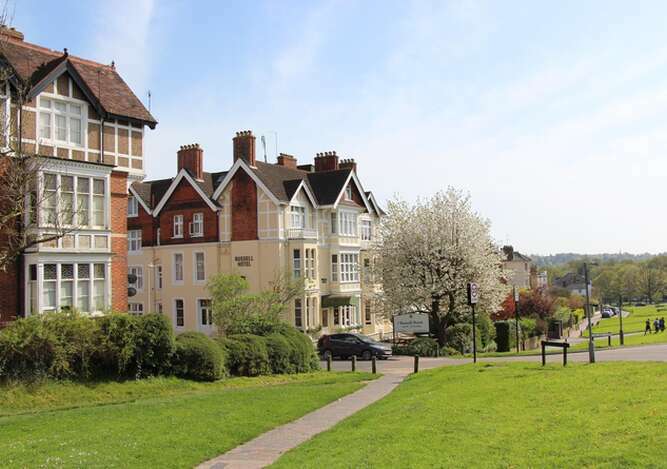 So for those wishing to see the very best of England and yet be secluded from the hustle of this densely populated region, Royal Tunbridge Wells is certainly the very best place to stay. 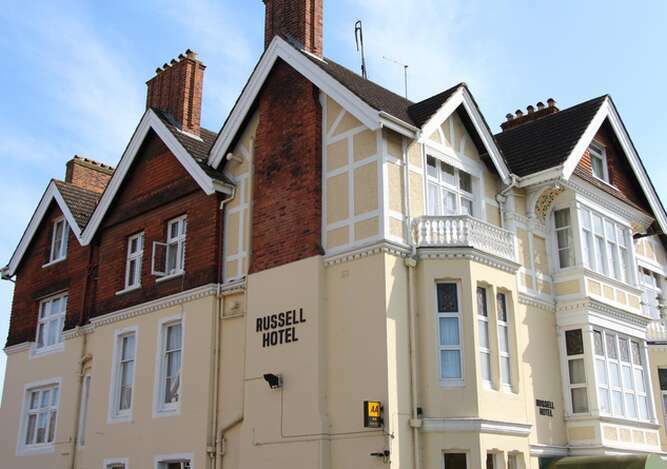 And the Russell Hotel is certainly the very best traditional choice within it. After 2 PM on the day of the arrival. Your room is guaranteed for a late arrival. It is possible to check in before 2PM but it is subject to availability, please contact our Reception. Before 11 AM on the day of the departure.